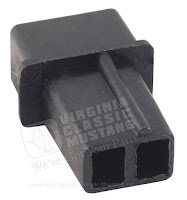 The wiring end plugs on the '65 and '66 Mustang plug into two different plastic connector blocks. There are a total of eight wires. One block accommodates six wires and the other two. 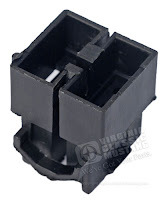 If you are replacing your turn signal switch in your '65 or '66 Mustang, more than likely, you will need both of these connectors.